Every woman realizes how important to figure out what hairstyle will look best on her. Long straight hairstyles, short wavy bobs, shoulder length hair updos, braids or braided mohawks, various pixie haircuts… Oh, there are so many pretty hairstyles and sometimes it may be so difficult to make the right choice! But even if you’ve already picked your perfect hairstyle you may face another challenge such as the choice of the most suitable hair color or colors. To choose the right hair colors for your skin tone is as important as to choose the proper hairstyle for your face shape. Trying to decide what hair color to pick if you’re going to dye your hair can be very tricky as choosing the wrong color can instantly transform you from looking gorgeous to desperate or even older that you`re. Once you know your face shape and skin tone, picking the right hairstyle and suitable hair color will be as easy as to put two and two together. Unfortunately, the most common mistake in choosing the hairstyle is a misunderstanding that there are more than two types of face shape. Besides, oval and round face shapes there are four other ones: long or oblong, square, diamond and heart-shaped. If you determine your face shape incorrectly, as a result, you`ll choose such hairstyle that won’t hide your flaws, but rather, it can stress them. To figure out your face shape you should trace the outline of your face. Just take a lip pencil, pull your hair back and draw the outline of your face. Remember, you should clearly see your jaw line, length and width of your face and, of course, your hairline. 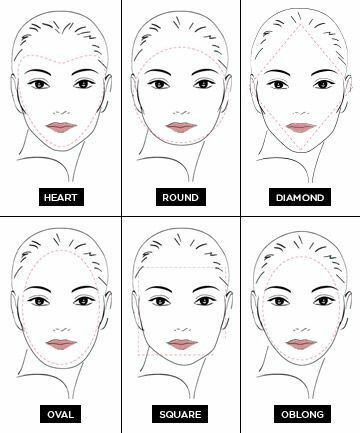 The last step is to compare your outline with the handy guide given below and determine what face shape you`re. When you know exactly what face shape you are, it won’t be so difficult to find the best hairstyle for you! But don’t forget to bear in mind your skin features. Wash your face completely: you need to remove all traces of makeup to accurately figure out your skin tone. Choose a well-lit place: your skin can look different under different types of light, thus you should choose the room with a large window or some other source of natural light before determining your skin tone. Do a color test: you need the shirts in the bright shades of green or blue and yellow or red. Hold these shirts to your face in turns. If your skin looks better against the red or yellow shirt, it`ll mean you’re warm-toned. If your skin looks better against the blue or green shirt, you’re cool-toned. It may happen that you can’t determine what shirt fits you better. That`s why you can also try to work out your skin tone looking at your veins. Check your wrist in normal sunlight and if your veins look green, you’re warm-toned. But if your veins look blue, you`ve got a cool-toned skin. But if even after two tests you can`t understand what skin tone you`ve got it may mean that you`ve got a neutral skin tone, giving you an olive complexion. What Are the Best Hair Colors for Your Skin Tone? If you figured out that you`ve got a warm skin tone, it would be better to compliment it with hair colors of cool shades (such hair colors commonly have the words “cool” or “ash” in their titles). If you worked out that you’re cool toned, do the opposite and pick the hair colors of warm hues. Remember, you need colors that contain the words “ honey”, “chocolate” and “warm” in their titles. 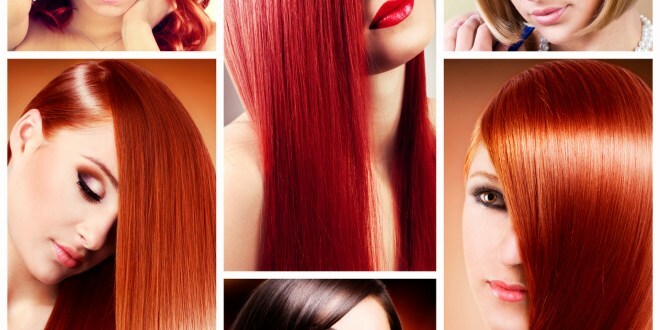 If your hair is fair you should avoid too dark colors or experiment with the dark colors of vibrant shades. You can do anything with a blue, violet-red, violet base, platinum or champagne blonde. A great way to improve your look if you fall under this category is to do the highlights. Hues of blonde, red or light brown will work well with fair skin. 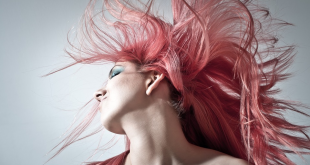 You should avoid golden blonde, copper red, caramel or honey if your skin is fair. First of all, don’t try too light colors and, of course, ginger. Draw attention to blondes and browns. You can go for light icy blonde, platinum blonde, ash blonde or ash brown. The great idea will select the low lights and make the visible. For women with a darker skin tone, getting orange or red based colors might be the best idea (“orange or red based” doesn`t mean just orange or red!). Suitable hair colors for dark skin are warm beige blonde, honey blonde, golden blonde, rich golden browns, milk chocolate or chocolate brown and rich auburn tones. But don’t go for anything with a blue, green or violet undertone, ash brown and platinum blonde. Almost anything with a yellow or orange base looks amazing on the olive skin tone. Honey colors, champagne and golden blonde, caramel brown compliment this skin color really well. But ash colors will also look good on the olive skin as it`s considered as a neutral skin tone.